Raising the bar for everybody – The biggest greenest M&S store, ever. I don’t think you can ever underestimate how rewarding the moment is when a project you have conceived and guided through the design and planning stages finally materialises in front of you – performing not only as well as it was expected to from a sustainable perspective but as an exemplary retail environment for the customers and staff. Back in 2005 M&S were looking to make a groundbreaking step change in the direction of their business. Seven years later the long awaited M&S Cheshire Oaks (@myCheshireoaks), M&S’ biggest and greenest store and a new exemplary model benchmark for retail environments, will finally unveil itself to the world on Wednesday 29th August 2012. Prior to its formal opening I was invited to walk around the completed scheme development with Robert Pearce, Head of Design and Specification at M&S. It was an experience that confirms my belief that by doing the right thing as a design leader, you need to stretch the vision of all involved in sustainable design and to explore all possibilities to achieve more, thereby raising the bar for everybody. In 2006 I was the team leader and Director responsible for the concept and design development of the original model for the M&S Concept Sustainable Store. Subsequently I led the detail design and engagement with the Local Planning Authority and all other stakeholders, leading up to the successful Town Planning approval for the recently completed building at Cheshire Oaks. The original brief set was to create a new sustainable store that ‘aspires to be carbon neutral’ – an industry bench mark and to position M&S as the market leader. The consultation timeframe available was tight which led to a fast track approach to the concept design. I needed to engage all Stakeholders and contributing consultants to focus their efforts into an intense but creative investigation - to stretch the boundaries of their vision beyond their 'default' thinking process and to challenge them so that at the end the store raised the bar and left ‘clear blue water’ between M&S and its competitors. By orchestrating these individual elements in this manner we were then able to re-assemble the specific parts into a new sustainably improved holistic store environment in a seamless manner. Passive design was a key guiding factor and included the use of natural light, whilst managing solar gain, mixed-mode ventilation and waste energy capture. The building section included partly buried external walls to improve the thermal dynamics and Earth Tubes under the store to temper air temperatures thereby reducing plant load. The two floors also include voids to assist air movement throughout the building and maximising the displacement ventilation. The expressive exposed roof soffit and sinuous roof form create volumes to assist heat stratification thereby keeping the sales floors cooler – they also act as smoke reservoirs. 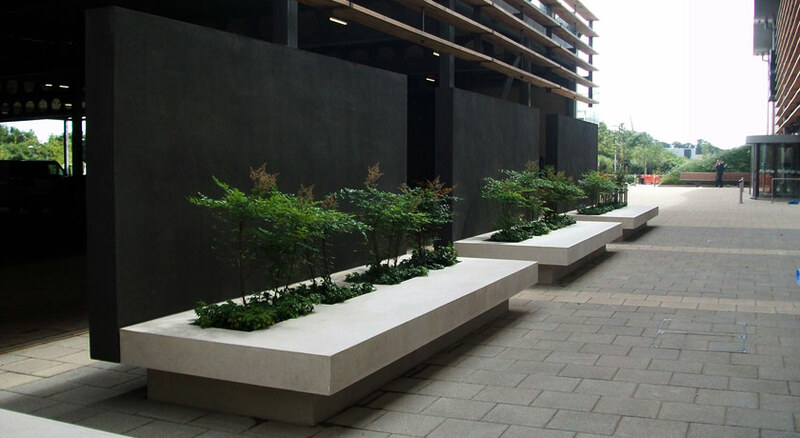 Whilst timber was chosen as a principle construction material, other materials were selected where their properties proved more effective – for instance whilst reducing the amount of cementious materials we did utilise PFA concrete on the floor slabs to maximise the thermal sink of the building. 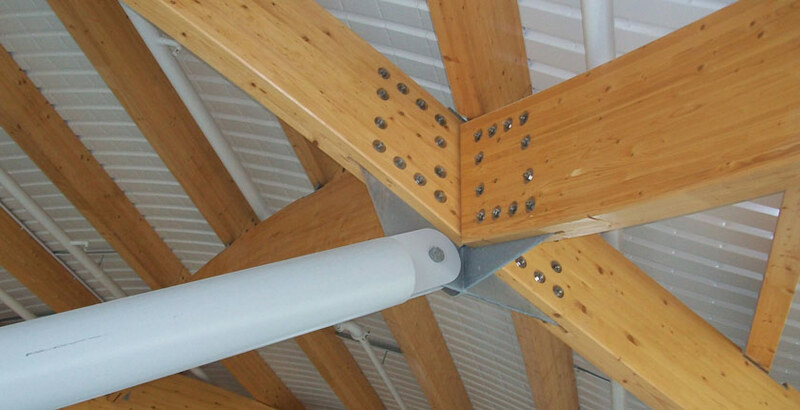 Steel was also used where its characteristics and proportions were appropriate (eg columns and tension members). The major structural element for the roof and first floor was glulam timber beams, which were prefabricated prior to erection on site. Hemp was selected as the main wall construction element as it offered very good thermal characteristics as well as capturing CO2 during its natural growth cycle. Calculations show that over 350 tonnes of CO2 have been ‘locked up’ through the use of Hemp as a building material. This objective analysis included a traffic light categorisation for ease of graphical understanding as well as giving the client team the ability to determine best value/output on key performance decisions. The rather ironic success of this analysis was that this process led ultimately to the green roof, which was a preferred ‘emotive’ choice at the initial briefing stages, being excluded from the final design as it was shown to be inefficient compared with other elements when considering the environmental benefits against their capital cost. Following the completion of the concept design and ‘sign off’ by the M&S Board, the design went through the next stage of detail design addressing specific site analysis influences and feedback from consultations during the planning approval process in parallel with a detailed technical appraisal. It was during this phase that the concept designs came under the most pressure from programme, cost and buildability issues, and I adopted a key ‘guardianship role’ to ensure the key sustainable design assets were protected and maintained in balance from ‘value engineering’ pressures. It was rewarding to see the concept held strong throughout and the resultant built form continues to reflect this. For me, however, whilst knowing in the background that all the sustainable elements and the environmental atmosphere ‘works’, the most pleasing aspect of walking around the building is the refreshing, uplifting but at the same time, calming experience of the internal space enjoyed by the customers and staff. The store is very generous, with high soffits and warm timber finishes in an elegant shell. From a customer’s perspective it ensures a pleasant experience and I look forward to going back soon.